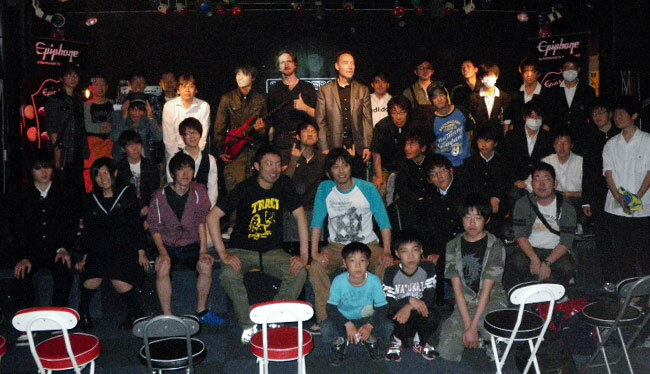 Epiphone clinic attendees at the Hirano Rockin' Kariya location on May 10. 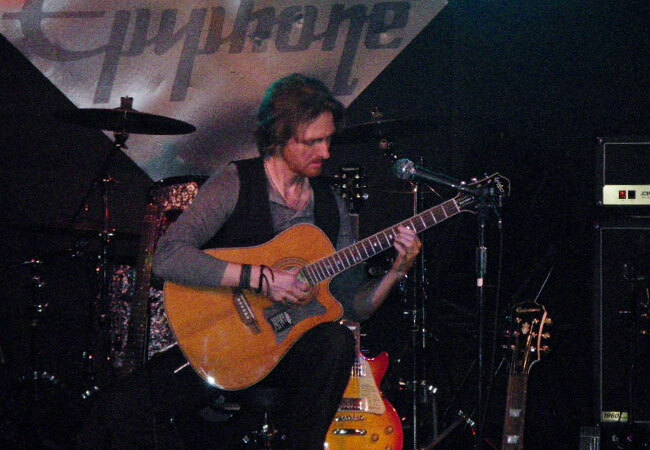 Epiphone artist Bryan Aspey just completed a string of Epiphone Clinics in Japan with stops in Umeda, Kariya, Shibuya and Ikebukuro. Bryan demonstrated the Les Paul Ultra III, the Masterbilt acoustic collection, and gave insight into his incredible playing technique. Epiphone President Jim Rosenberg and Gibson Japan President Yashuhiko Iwanade were also in attendance. Bryan demonstrates the Masterbilt DR-500MCE at the Ikebe Rockhouse Ikebukuro location. 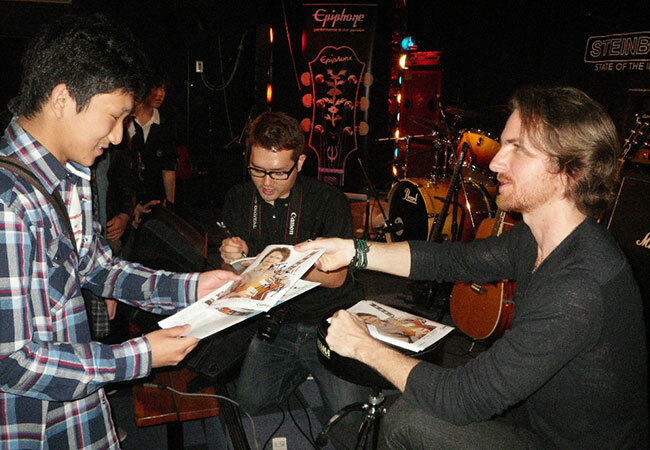 Bryan greets a fan at the Hirano Rockin' Kariya location. 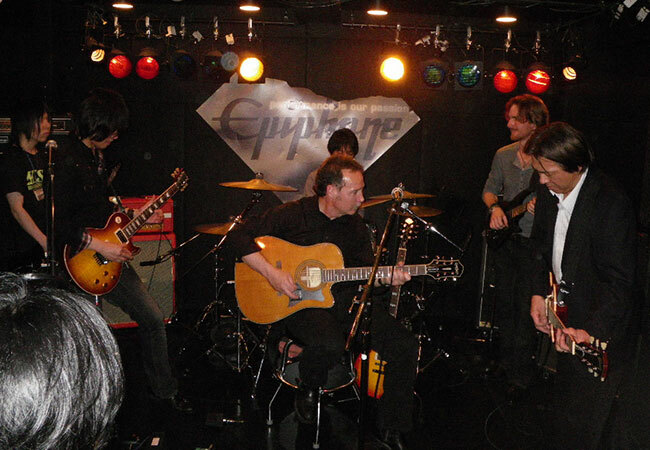 Jim Rosenberg (center) and Yashuhiko Iwanade (far right) participate in the JAM at Ikebe Rockhouse in Ikebukuro. 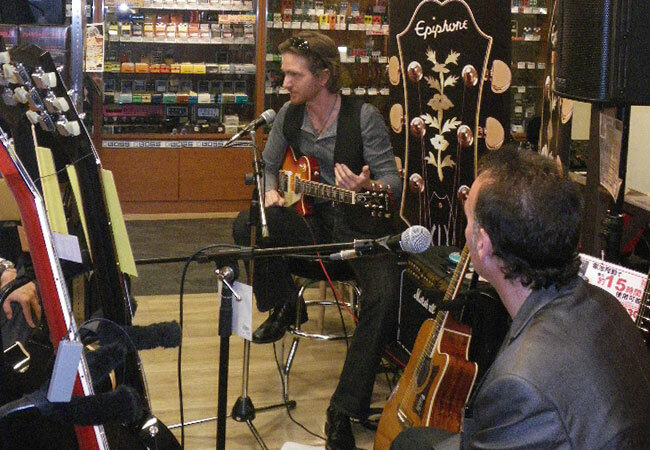 Bryan and Jim Rosenberg talk about the Les Paul Ultra III at the Ishibashi Umeda location. 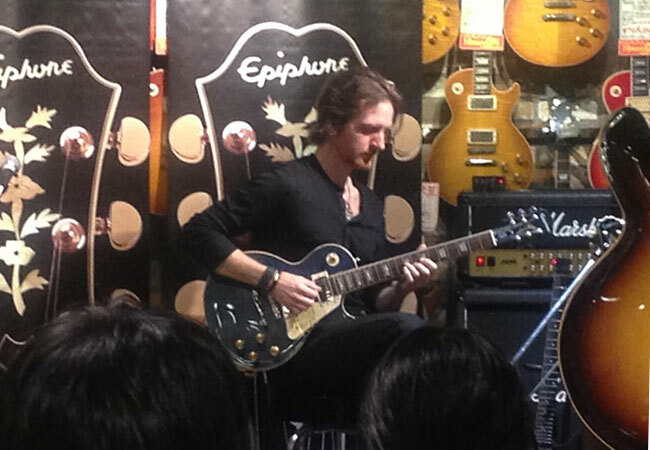 Bryan demonstrates the Les Paul Ultra III at Ishibashi Shibuya.